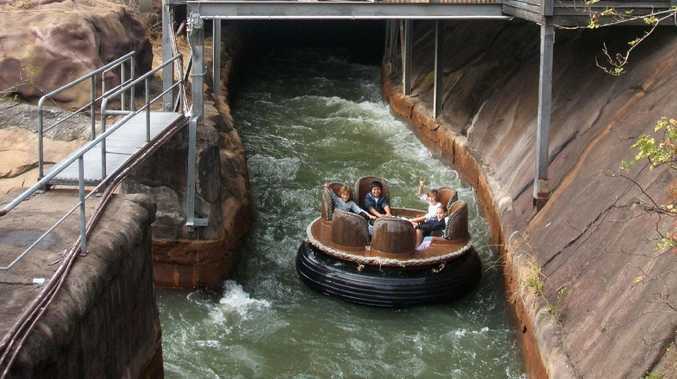 The now-closed Dreamworld Thunder River Rapids Ride. THE emergency stop button on the control panel of a Gold Coast theme park ride on which four guests died wasn't subject to regular maintenance checks, an inquest has heard. 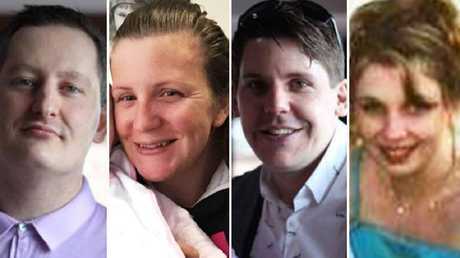 The inquest into the deaths of Cindy Low, Kate Goodchild, her brother Luke Dorsett and his partner Roozi Araghi at Dreamworld in October 2016 resumed today at the Southport Coroners Court. Maintenance supervisor Stephen Murphy told the inquest he had never used the emergency stop button on the main control panel of the Thunder River Rapids ride. Mr Murphy said he had no idea what the button exactly did and despite using other emergency stop buttons during his daily checks, he'd never pressed the control panel button. "That button was not a part of our pre-operational checks," Mr Murphy said. The inquest also heard Mr Murphy had no knowledge of previous incidents on the ride in 2001 and 2014 when rafts had collided in similar circumstances to the fatal incident in 2016. He said he did not believe at the time of the incident that the rafts colliding was an obvious risk on the ride. Barrister Matthew Hickey, representing the family of Ms Low, asked what would happen if rafts did collide on the ride. "We all know the consequences once that did happen," Mr Murphy replied. "Did you know it had happened before?" Mr Hickey asked, with Mr Murphy simply replying "no". Former Dreamworld employee Stephen Buss, who was fired after the 2014 incident, is expected to give evidence on Tuesday. Dreamworld general manager Troy Margetts is also expected to be called to give evidence during the two-week window. Premier Annastacia Palaszczuk said she expected some "shocking" details would come out during the second part of the inquest. "I know the worst phone call I have ever received as premier was when the police commissioner rang to tell me about this tragedy," she told the Today Show earlier today. She acknowledged the tragedy had a negative effect on theme park visitor numbers, but said she was confident the industry would recover. "It is up to all of the theme parks to assure the public that their safety is up to standard," she said. "I mean it is part of the life and blood of the Gold Coast, but it is going to take some time."